My sister Margie made this quilt for Elio by machine piecing the panels and hand tying it with a hundred little knots in yellow embroidery floss. I tried in vain to emulate her style with a similar baby quilt in shades of green, but the composition didn't come together as Margie's does. 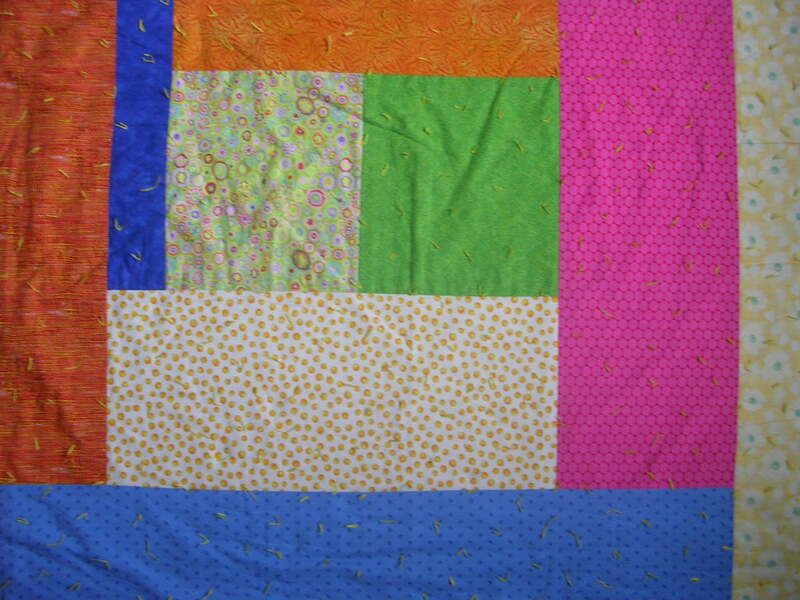 Part of what makes her quilt so wonderful is that most of the prints read as solids from a distance. Margie's work is always meticulous, but lively and very much her own. Here's my feeble copy. 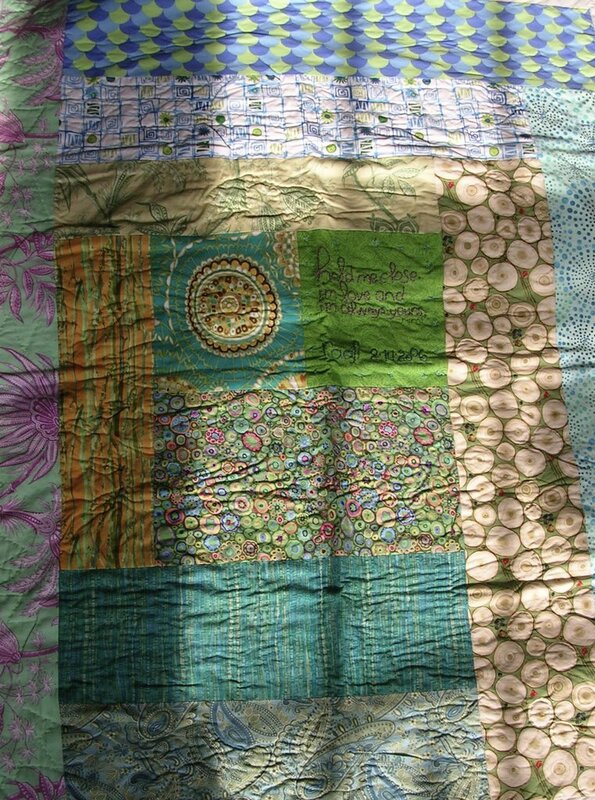 I'm still in the beginner quilter's stage of just wanting to find a place for my favorite prints.